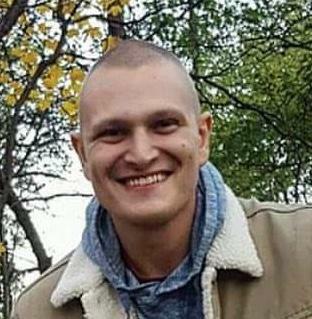 Obituary for Michael Feldman | Cremation Services of Central New York Inc.
Michael Feldman, 25, a native of Syracuse and a graduate of Corcoran High School, passed away on Thursday, July 19th after a long and inspiring fight against cancer. The son of Bernard and the late Nancy Feldman, Michael is survived by his father; his fiancé, Lindsay Feraco; his sisterChristina Feldman Wiegand and her husband D.J., a close friend of Michael's. He was predeceased by his mother and two older sisters, Laura Jean and Sarah Rebecca Feldman. Michael, an employee of the Rosamond Gifford Zoo at Burnet Park, was the Godfather of Elizabeth Whewell, Sarah's daughter. He also spent countless hours with Christina and D.J. 's children, Danny and Chloe. He is survived by many othercousins, nieces and nephews on both sides of his family. He will be remembered for his gift at making people smile and laugh. He had an enthusiastic sense of humor and an unforgettable, unique zest for life. Michael loved the outdoors, especially long hikes with his fiancé Lindsay and their dog, Duncan. Throughout his life, he brought great joy and happiness to many people. Michael will be profoundly missed by his family andfiancé, by many close friends and by his community. A funeral Mass will be held at 10 a.m. Tuesday, July 24, at Most Holy Rosary Church, 111 Roberts Ave., Syracuse, N.Y.13207, with a luncheon at the Parish Center to follow. There are no calling hours. Interment will be at St. Mary’s Cemetery, Dewitt, NY.